2019 is moving faster than 2018. I just blinked and we are already in the second month of the year. But for a change I can pat myself on my back. This year it looks like I will meet many of my writing targets. This shows what a little extra discipline and dedication can do, and ofcourse switching off from online distractions goes a long way and staying focused and being on a deadline. I digress as usual. 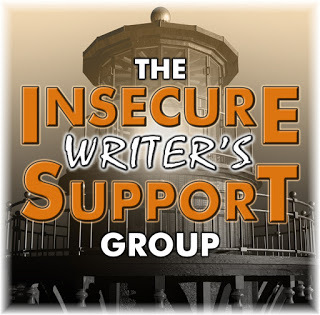 This post is about IWSG (Insecure Writers Support Group) not about my goals. IWSG is an online forum where writers from all over the world participate by posting on the first Wednesday of the month. In our posts we tackle any of our writing insecurities, discuss our fears, learn from other writers who have overcome these doubts and anxieties. IWSG is the brainchild of Ninja Captain Alex Cavanaugh. Alex is an accomplished musician, an awesome blogger and a best-selling author. He is the author of the Amazon Bestsellers: CassaStar, CassaStorm, CassaFire and Dragon of the Stars. The IWSG has to its credit, writing contests, twitter pitch parties, it has brought out several anthologies. The IWSG website has amazing and informative posts from publishing experts. Besides writing I don’t do anything else creative. At one time (a million years back) I did a little bit of embroidery. A few years back I taught creative writing in college for several years. But that’s about it. I write, write and write. I have been thinking of doing something else creative, but haven’t found anything (not that I have been actively looking). Will be visiting all your blogs later to see what other creative outlets you all have. Labels: IWSG. Alex Cavanaugh. Writers. Books. Writing Goals.